How do I edit basic information about my business? 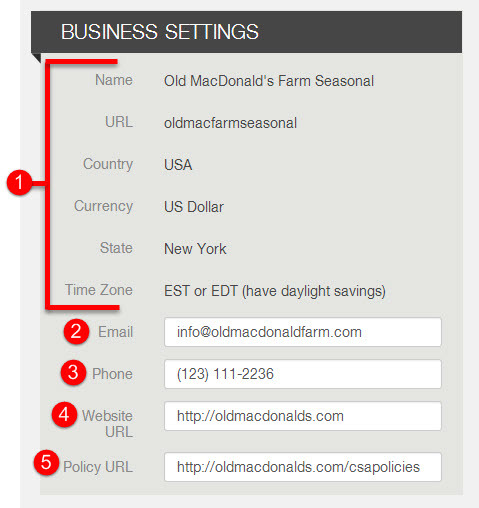 From the Business Settings section of the General Settings page, you may update the contact information associated with your Farmigo system. When your members reply to an email that you have sent to them via your Farmigo system, their replies to those emails will be sent to the inbox of the email address entered here. ﻿To update this email address, go to Settings > General > General Settings, click Edit in the upper right corner, change the email address, and save changes. Please note that when you do this, it will not automatically update the CC in your existing Automated Responses, Automated Alerts, and Templates. You should go through each of these emails to update the CC (copied email address). ﻿This phone number appears at the top of the PDF file of the Member Pickup Details report. To update your phone number, go to Settings > General > General Settings, click Edit in the upper right corner, change the phone number, and save changes. ﻿This is the URL members will be directed to if they click on the banner logo that appears at the top of your member links. ﻿Anytime a member signs up or shops in your webstore, they must agree to the Terms & Conditions of your program. 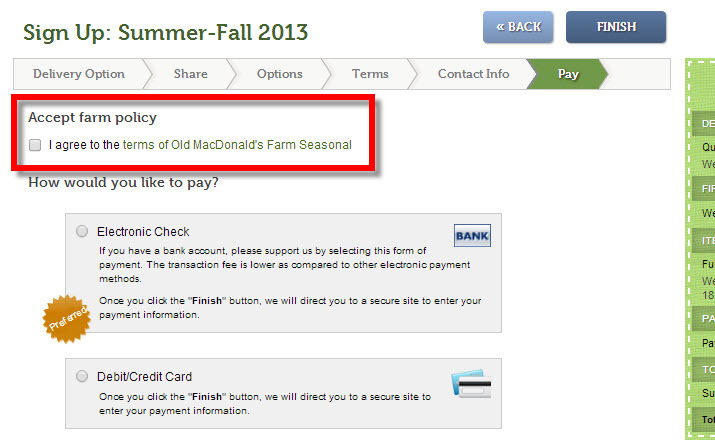 Your policies should be published online and the URL for the policies should be entered here. Click here to learn more about what to include in your policies.